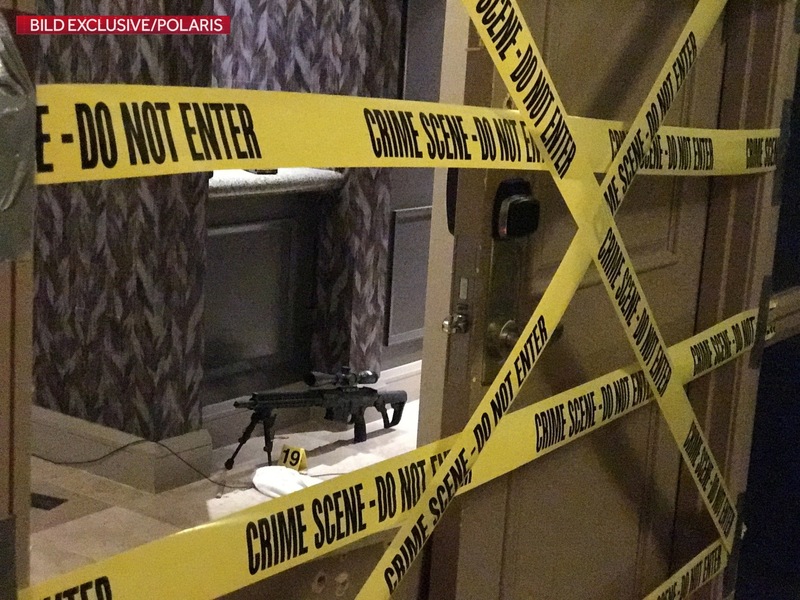 SHTF School | Topic: What Happens In Vegas …. What Happens In Vegas …. You are here: Home / Forums / Off Topic / What Happens In Vegas …. Owned by someone or something. Show the evidence, then it may be a fact. Until then, just another conspiracy theory. WB. You may be slipping into solipsism syndrome as an explanation. I’m waiting for the results of the look at his computer toys. Owned he is. Whatever, he was in the wrong place in time and got a bullet in the face. Fact. What a leap! A person makes a supposition – something detectives and investigators do routinely. But if it’s not a detective or an official law enforcement investigator doing the supposing, it’s “just another conspiracy theory?” Wow. Right now, until I hear it from LVPD Homicide, I’m going on “not factual”. “Benghazi” the evidence? Are you kidding? Some of “ours” were wounded and killed. Trying to help not run away. If you think that would fly, you don’t get it. The take away from both of those is that only cops tell the truth, cops can never be bought off, and if it isn’t coming from the cops, it should be disregarded unless/until they come to the same conclusion. Why should I not be reading that as, “Just shut up. You’re not a cop, therefore you have no right to any input here. This is an active law enforcement investigation and therefore nothing should be speculated – just wait until they make their definitive statements.”? I’m saying that either he’s grandstanding for revenue in his hotels, or he has information from/about the competition that he shouldn’t have revealed in any case, no matter how he got it. That’s certainly definitive! There can be no other possible scenarios or suppositions. Why do you get that privilege, but none of the rest of us (without official law enforcement backgrounds) get that same privilege? Just wondering…. The underlying message seems to be that Forum topics specifically set up as NON-survival/preparedness topics really have no business even being here (regardless of the fact that Selco and company decided initially to add them, in order to provide such outlets while also keeping them separate from survival/prep discussions), and that if there’s some law enforcement component to a topic, we unwashed non-law enforcement types need to keep our “conspiracy theories” to ourselves and leave the questions and suppositions to the professionals. Sorry if that seems harsh, but that’s certainly the message I seem to be seeing. It’s one thing to bash the cops (which I haven’t seen here in this thread at all), but this seems to be an overly defensive pro-LE position when no defense of LVPD, FBI, whoever else, is even needed so far (if at all). Questions seeking understanding are not automatically accusations. But regardless – today we can still all be one with America’s city (Los Angeles) and celebrate Indigenous Peoples’ Day. Indigenous peoples day? Burn their huts down and plant a flag. I’ve been back and forth on this story with half a dozen people. Each one seems to find a different narrative and “facts” to support it. I sure as snot ain’t saying LE has all the answers, I for one know that ain’t the truth. But right now, they have the best view of the evidence. Not little audio bites from blocks away, not screen caps from bad cell phone video. But the audio and video from his own gear. The physical evidence from the room and his houses. Right now, we don’t know what the police know. And until the investigation is complete, we aren’t going to know. It’s not a superiority thing, it’s an investigative thing. ISIS, the islamic army, generously supplied by our caring former SecState, with the arms formerly controlled by Libyan dictator Qaddafi (whom she had killed) claims, without evidence, that Paddock had become a convert, a “soldier” for their cause. Paddock is alleged (presumed?) to have been the shooter, but without having left any clear statement of intent, or as far as is yet broadcast, any other “reason” for doing so. He is said to have had a prescription for valium, a drug which (please correct me, if I’m wrong, GS) would at least tend to mollify murderous passions, and interfere with the ability to swiftly and efficiently attend to the intellectual and physical details of preparing for such action. If others were involved, and if those others had serious political powers or connections, would any of us ever learn of it? It has been said, “You can get anything in this world, with money.” And that includes silence. Now we’ve learned from Sheriff Lombardo that, “Mr. Campos was encountered by the suspect prior to his shooting to the outside world.” (A new timeline was also issued yesterday – 8 days after the shooting – showing that Campos was shot six minutes before ANY outside shooting was begun.) And they’ve now added that Paddock shot 200 rounds into the hallway when discovering Campos out in the hall. What happened between the shooting of Campos (who was shot only once in the leg despite 200 rounds heading in his direction!) and the commencing of the mass shooting has not been publicly revealed. We just now know that police actually did not know where the shooting was coming from while it was going on. Additionally, the Sheriff has revised Paddock’s check-in date backwards from 28 September to 25 September. The facts go ’round and ’round … like prospective winning tickets in the lottery cage. Eventually, the winning ticket will be drawn, but for now, we can only wait and watch. I’m still wonderinng about those 200 rounds: (1) who was counting?, (2) how long did it take for mag changes, or did he have a belt-fed gun after all?, (3) why did it take 72 minutes (by last report) from the time whoever fired those 200 ceased firing, until the authorities (which ones?) finally breached the door to discover Paddock’s body? 200 holes in the door. I sure as snot ain’t saying LE has all the answers… . Thanks. Remainder of my comments deleted. Out. motive is still a total mystery. Steel door?!? I hadn’t seen that either visually or as a “news” report. But I have seen a photo with part of the door off its hinges and laying across the open portion of a double door, so you could only see a portion of that door that was removed from its hinges (probably only about 1/4 to 1/3 of the full door. It appears to be a wooden door and showed many rounds in the portion of the door what was originally showing in the photos on line. However, that image seems to have disappeared from the web – I’ve done a fairly extensive search for what I saw the other day, and that photo only seems to exist as what was previously only the upper half of the full photograph. Here’s the upper half of the image I saw – you can barely see what appears to have been the left hand door, now off its hinges, propped up against the other (right hand) door that’s still attached and closed. In the full photo I saw, there did not appear to be ANY holes in the right hand door (top to bottom was visible), but the portion of the door that was visible across the open space with the crime scene tape was riddled with bullet holes and gave the full appearance of a wood-product door. If you look closely at the bottom edge of the photo, you can see several holes just to the left of where the two pieces of yellow tape cross each other. Why that photo is now only showing up with the top half of the photo being published is unknown (that would require speculative conspiracy theory, don’tchaknow!). As I recall, in the portion of the door that was visible through the open doorway, there were FAR fewer than 200 holes, suggesting that either they were at the other end (top/bottom?) of the door that wasn’t showing, either hidden by the door on the right, or the wall on the left of the open door frame, or else there weren’t 200 rounds that went through at least THAT door. That’s all my unqualified speculatin’ fer the day. Hopefully it won’t be deemed conspiracy theory, since I’m simply reporting what was actually shown in an alleged law enforcement crime scene photo, whether leaked or not. 200 holes, that’s just a couple of the Surefire coffin mags you see in the pics. Likely more are in the wall to the hallway than the door.